People.com released the following article on March 3, 2016. Alan Pinel was selected as Thursday’s “hero of the week” by PEOPLE magazine for his work helping to feed the homeless. He was interviewed by Jeremy Parsons and Cathy Free. 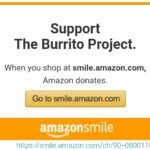 Please consider joining us at the next Burrito Project which takes place on the 3rd Thursday of the Month in Los Angeles.